Cast fire places are one of the best online suppliers of fireplaces, stoves and anything related to fires, they are a family firm with a fantastic service. They have been established since 2003 and have a vast knowledge of the fireplace trade. 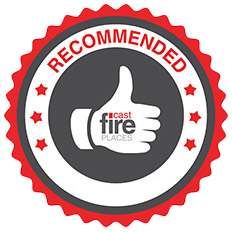 They also have a showroom and warehouse of 3000sq/feet with a choice of hundreds of fireplaces and stoves, I deal with Mark who has 20 years’ experience and he can help you choose the perfect fireplace for your home.